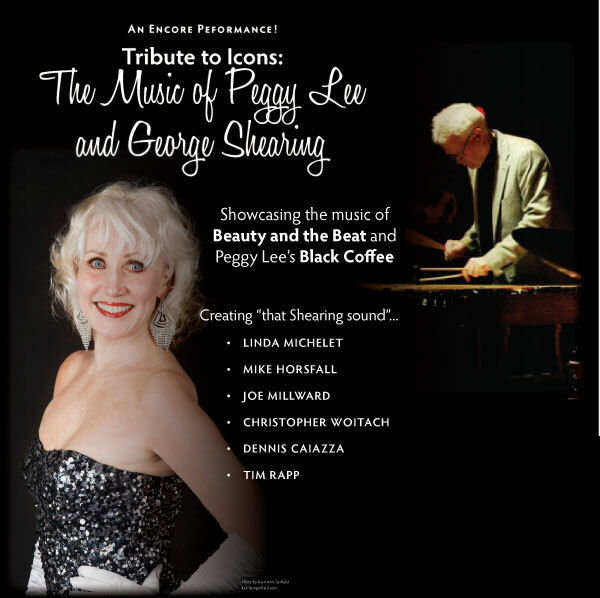 Showcases the classic 1959 album “Beauty and the Beat” and Peggy Lee’s “Black Coffee”. 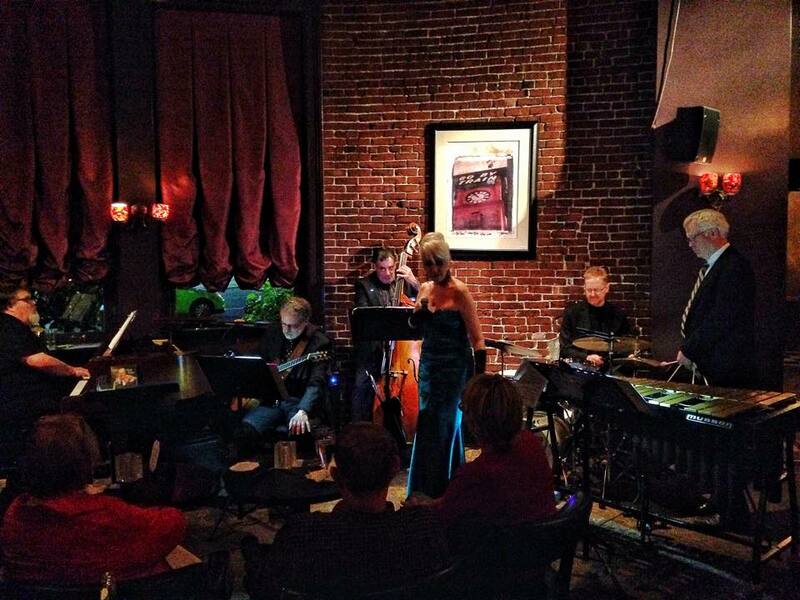 Helping to achieve that Shearing sound is Tall Jazz performer and Jazz Society of Oregon Hall of Fame member Mike Horsfall on vibes. The band listens to Dennis Caizza’s bass solo during the May 9, 2015 performance of A Tribute to Icons at Wilf’s in Portland, Oregon.